Summary: Apollo Kagwa has had strange dreams that have haunted him since childhood. An antiquarian book dealer with a business called Improbabilia, he is just beginning to settle into his new life as a committed and involved father, unlike his own father who abandoned him, when his wife Emma begins acting strange. Disconnected and uninterested in their new baby boy, Emma at first seems to be exhibiting all the signs of post-partum depression, but it quickly becomes clear that her troubles go far beyond that. Before Apollo can do anything to help, Emma commits a horrific act—beyond any parent’s comprehension—and vanishes, seemingly into thin air. 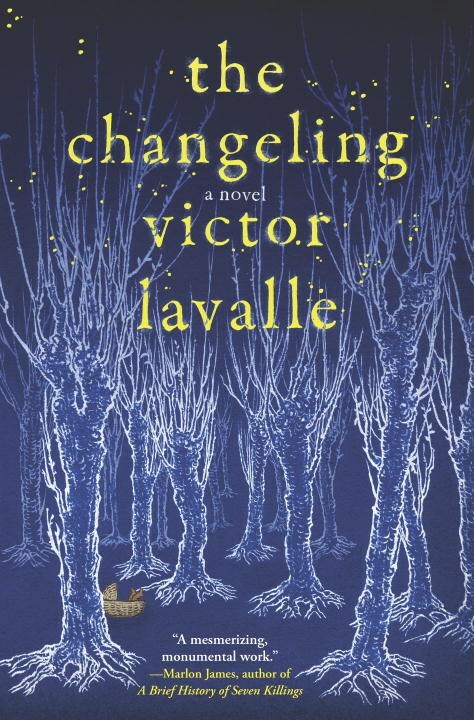 Review: I was blown away when I read Victor LaValle's novella, The Ballad of Black Tom, last year. Supernatural, spooky happenings from Harlem to Queens to Brooklyn? It definitely wasn't the average read. 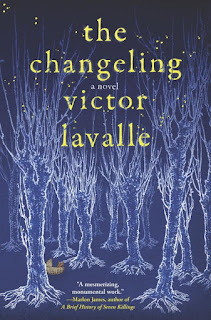 When I saw The Changeling pop up in the publisher's catalog, I immediately added it to my list of must reads. The latest from LaValle starts off like any other story: boy meets girl, boy falls for girl, girl snubs boy, girl eventually gives boy a chance and they live happily ever after. Well scratch that last part, they don't live happily ever after. They split up and boy disappears into the night leaving girl (now ex-wife) with a baby boy. And that baby boy becomes Apollo Kagwa, a man haunted by childhood dreams that have returned, and filled with love for his newborn son, Brian. This seemingly everyday story starts to take twists and turns as Emma, the love of Apollo's life, begins to act strangely toward their baby. At first, he brushes it off as post-partum depression, but it's more than that. Soon the police are on the lookout for Emma and so is Apollo. This is where the adventure begins and nothing and no one are as they seem. You know how when a book is really good, you don't want it to end? I stretched this book out for three days because I needed to comprehend everything that was going on and I was afraid of what the outcome would be. It was like watching a scary movie that you're afraid to look at with both eyes open so you hide behind your hands and peek through your fingers. Even if this isn't a genre you'd normally read and you don't think you'll enjoy it, you're going to be blown away.